Thu, 20 Oct 2011 18:38:52 : OK, thoroughly confused, 2 trains at Strawberry Hill station, both going in opposite directions, both going to Waterloo! Thu, 20 Oct 2011 17:20:47 : Geoffrey Hunt talking about self-consciousness, & how we need consciousness in order to talk it - ie can we define it if inside the system? Fri, 14 Oct 2011 02:33:35 : Got there. osnpc in #opensim to our osnpc region module then our Altair AI DLL to the Discourse web service to handle chat and back again! Thu, 13 Oct 2011 18:54:23 : That was the best session so far of #modsim, even the Havok ad. Looking forward to trying out VWF. Must read the PDF on the plane home. Thu, 13 Oct 2011 18:06:38 : #modsim Richard Boyd talking bout 3 yr old expecting TV to change channel by touch - sure I've heard similar anecdotes elsewhere - epidemic? Wed, 12 Oct 2011 18:56:49 : #modsim nice open discussion about what it would take to build a holodeck - or whether we're best off waiting for direct neural interfaces! Wed, 12 Oct 2011 14:59:10 : Just finished presenting at #modsim, but why are virtual worlds & serious games in their own ghetto track & not merged with subject tracks? Mon, 10 Oct 2011 05:34:05 : Journey to @modsimworld starts - taxi in the dark to #BHX, BTW what is the hashtag - is it #modsim? 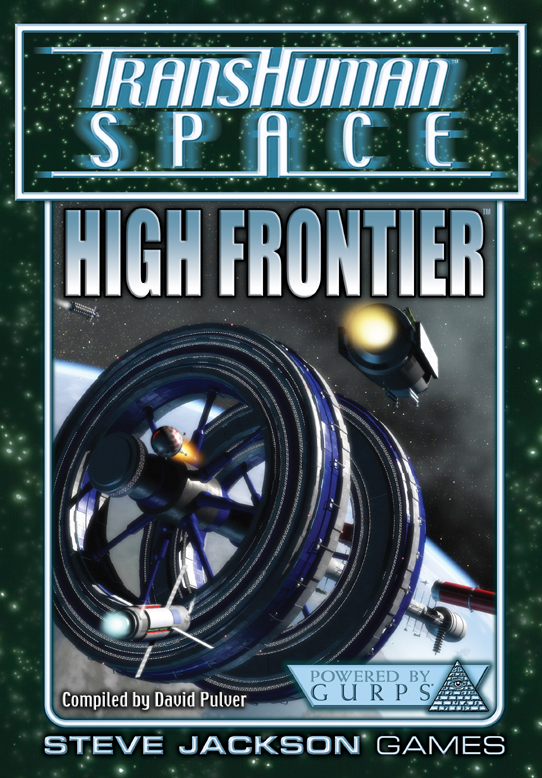 Finally got hold of the High Frontier supplement for the GURPS Transhuman Space RPG. This is still one of the best "realistic" imaginings of a near-future solar system - probably circa 2150 or even 2200 given current rates. It's certainly on a par with Paul McAuley's Quiet War series. - Transhuman Space is all about a dominant China in space. In other words it looks like the BRICs countries will inherit and dominate our SF future.